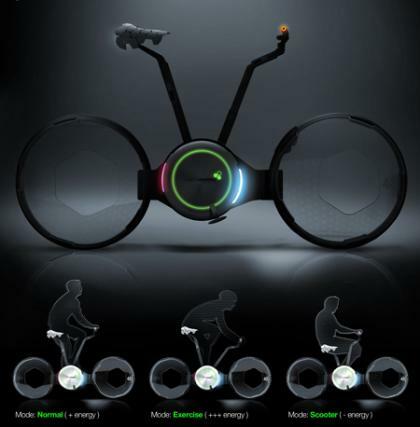 The London garden fold-able bike was created in accordance with the London Garden, a concept car free zone in downtown London allowing bicycles and buses only as transportation means. 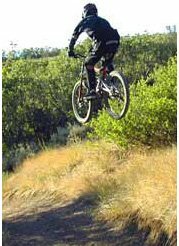 The bicycle is designed to generate energy when riding and this energy can be used as currency to pay for your bus rides. 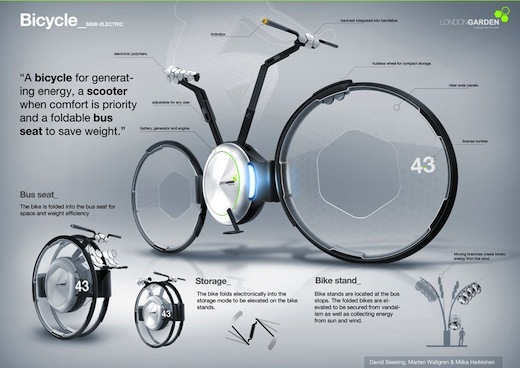 The bike electronically folds into the bus seat storage mode for space and weight efficiency and to fit on the bike stand. Bike stands can be found at the bus stops where the bikes will be stored securely in order to collect energy from the sun and wind. 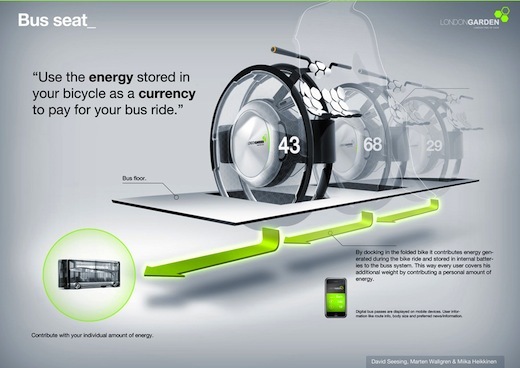 Moreover, it contributes energy to the bus system that was generated during riding and stored in inner batteries. 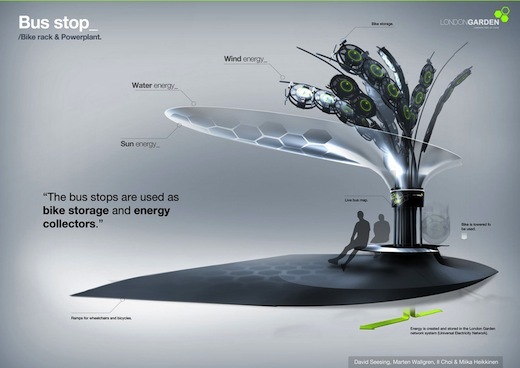 Finally, the energy will be accumulated from all the bus stops into the London Garden network system, which is the Universal Electricity Network of this concept.